I am a hard worker and a go-getter in life! I always try to be positive and give people the benefit of the doubt. I have been married for almost four years. We were married on 11-11-11! Being the person who makes things happen. Contacting both the client and vendor to get projects produced on time and providing the customer with their completed order. My independence and my ability to travel on my own, not only for work but for a personal vacation as well. What's one thing that people don't know about Glazer Promos? We are extremely friendly and truly work as a team. Spend time with family and friends, travel, and watch sports. 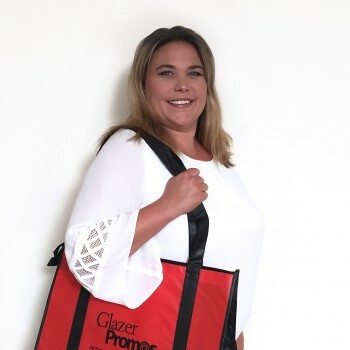 What is the best part about working at Glazer Promos? The people and the laid back atmosphere.